Why are folding rear seats optional? Missing the G37 Coupe? Keep in mind that Infiniti Q60 Coupe (and probably convertible) versions are on the way. With a hot new look, a Hybrid, some world-first technology, and much-improved cabin refinement--combined with a sharp, eager driving character--the 2014 Infiniti Q50 seeks new sport-sedan believers. Don't let the enigmatic new badge throw you off, because the Q50 is a familiar luxury sedan. What you're seeing, with the 2014 Infiniti Q50, is the follow-up to the Infiniti G, the first real Japanese-bred rival to the BMW 3-Series. This year, it is completely new as well. And it lays out a more ambitious agenda than ever before--if the new badge wasn't already enough to suggest that. The Q50, like last year's G37 tackled the latest 3-Series, primarily, as well as the new Cadillac ATS and Lexus IS--but it's actually a half-size larger than those, and a half-size smaller than the likes of the BMW 5-Series and Jaguar XF. The new sheetmetal's just striking: the sensuality of the bigger Infiniti M sedan works in exotic new ways on the Q50, especially at the exaggerated intersection of curves and surfaces behind its rear doors. The boomerang brackets at the grille resemble the ones on the Lexus, but their hourglass shape is more at ease with the rest of the silhouette. We've seen dramatic cars that don't look so exciting a year later--the Q50 isn't one of them. Meanwhile inside it's organized around a sweeping theme that cordons off the controls to the driver with an arc running down the console. The asymmetry helps keep the look a little sportier, a little more cockpit-like. It's dominated by what's sure to be the Q50's lightning rod for controversy: Infiniti InTouch, a twin-screen system that maps out the brand's place in the world of CUE and MyFord Touch, with a handful of redundant hard keys left behind. Whichever version of the 2014 Q50 you get includes a V-6 under the hood. 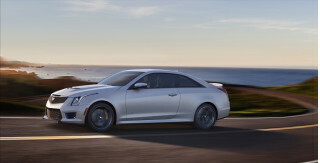 In so-badged 3.7 versions will be an updated VQ 3.7-liter V-6 with 328 horsepower and 269 pound-feet of torque. It sings along with less of the coarse character of the G37, while revving just as freely and eagerly through the gears. 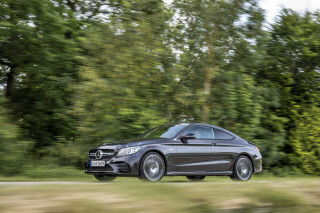 Gearing for the seven-speed automatic is a bit taller than before, in the interest of fuel economy and cabin quiet; paddle-shifters and throttle-blip downshifts rise to the occasion--even though there's no longer a manual gearbox on offer. The Hybrid feels just as quick, with very well-coordinated throttle response and 360 combined horsepower with a special version of Infiniti's 3.5-liter V-6 plus a 50-kW motor system and a unique dual clutch-pack hybrid system (with a dry clutch fore of the transmission and motor system and a wet clutch aft of them) that effectively smooths out both shift shock and transitions in power. And with EPA ratings of 29 mpg city, 36 highway it boosts real-world mileage in a way that Lexus' performance hybrid system doesn't. Infiniti's new Drive Mode Select also helps make sure you get the driving personality right for the mood. With Standard, Sport, Eco, and Snow modes—as well as a customizable Personal mode—the system changes shift patterns, the sensitivity of the throttle, and even the Direct Adaptive Steering's effort and ratio. Direct Adaptive Steering is available on the 2014 Q50, and it's a groundbreaking, world-first technology feature--although we're still not convinced it's going to be the preference of driving enthusiasts. Overall, the Q50 feels slightly more compliant while remaining crisp and balanced. Standard-issue 17-inch wheels are shod with 55-series run-flat all-season tires, with all-season or summer tires optional in 19-inch, 40-series spec. The Q50's seats benefit from some of the thought that went into those in the Nissan Altima--pressure is distributed more evenly, for long-distance comfort. For more interior space, Infiniti says it's slimmed down the front seatbacks and increased front-seat travel and height adjustment. In back, passengers have easier access, Infiniti says, because of a B-pillar moved an inch forward. Trunk space is boosted to 18 cubic feet on the non-hybrid Q50, while the hybrid loses 3.9 cubic feet to battery pack storage. New safety technology offered on the 2014 Q50 will include Active Lane Control. Its cameras pick up on slight steering shifts due to road surfaces and crosswinds, and correct for them. Also available are adaptive cruise control, blind-spot monitors, lane-keeping assist, and lane-departure and forward-collision warning systems. Infiniti has bolstered the body structure, adding more high-strength steel and effectively reengineered the entire vehicle. They’ve also been able to cut some weight overall: Crash-test ratings are improved somewhat over those of the last-generation (G37) versions, and the new model is an IIHS Top Safety Pick+. There are a total five core packages for the Q50 lineup, each offered in either rear-wheel drive or all-wheel drive: Infiniti Q50 3.7, Premium, and Hybrid Premium, then also the Q50 S 3.7 and Q50S Hybrid. Options are lumped into a few large packages. The Deluxe Touring Package (for $3,100) adds Direct Adaptive Steering plus a power-adjusting steering wheel, memory settings, real wood trim, rain-sensing wipers, front and rear parking sensors, and an Around View Monitor with Moving Object Detection. Yet another new feature in the Q50 is Infiniti Connection—a security- and concierge-related telematics service that has a companion smartphone app and provides remote monitoring (for teen drivers, for example), SOS call and collision notification, and a personal assistant service. The 2014 Q50 is more organic and unique than the G Sedan that precedes it. The 2014 Infiniti Q50 is a bit larger than the BMW 3-Series, Cadillac ATS, and Lexus IS, yet a bit smaller than the 5-Series, Cadillac CTS, or Jaguar XF. That said, its proportions manage to look more compact from a few paces back while surprising with more interior space and 'presence' up close. Whether you see the exterior design as a somewhat more adventurous take on the M Sedan, or an especially curvaceous expansion of the former G37's handsome look, the new sheetmetal's just striking: the sensuality of the bigger Infiniti M sedan works in exotic new ways on the Q50, especially at the exaggerated intersection of curves and surfaces behind its rear doors. The boomerang brackets at the grille resemble the ones on the Lexus, but their hourglass shape is more at ease with the rest of the silhouette. We've seen dramatic cars that don't look so exciting a year later; but the Q50 isn't one of them. We especially appreciate the creasing and surfacing, which add visual interest especially from any side angle. For instance a fender line continues along the side from the front, then fades around the A-pillar where another one starts. According to Infiniti, it's modeled after elements of nature, like waves. The Q50 is also lower than the G Sedan, yet two inches wider, which has an affect on the car's stance. The coefficient of drag is down to a low 0.26, while the double-arch grille in front and all-LED lighting details offer a combination of aggressive and smooth. The interior's organized around a sweeping theme that cordons off the controls to the driver with an arc running down the console. The asymmetry helps keep the look a little sportier, a little more cockpit-like. It's dominated by what's sure to be the Q50's lightning rod for controversy: Infiniti InTouch, a twin-screen system that maps out the brand's place in the world of CUE and MyFord Touch, with a handful of redundant hard keys left behind. A large touchscreen displays frequently used functions from atop the dash, while a second touchscreen runs other infotainment and other systems on a separate pane below. For example, destinations are chosen on the lower screen, but display on the upper one. In effect, it's dual monitors--and an interesting choice that could reduce complexity, or increase it. The true steer-by-wire system breaks new ground, but what's important is that the Q50 preserves the responsive, balanced driving feel of the previous G.
No matter which Q50 model you choose for 2014, you get a V-6 engine. While that might not deliver the base fuel economy numbers that shoppers are increasingly expecting, it does deliver in performance. The Q50 3.7 is powered by the familiar VQ37—a 3.7-liter V-6 with 328 horsepower and 269 pound-feet of torque. And then a new Q50 Hybrid model has joined the lineup, offering 360 combined horsepower plus improved performance and fuel economy. 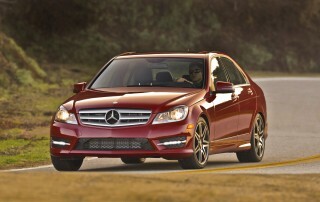 In either version, a seven-speed automatic with a manual mode is the sole transmission offered. Paddle shift controls are available. 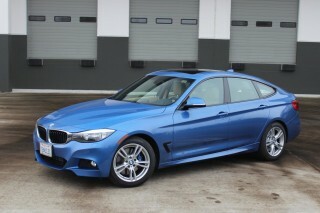 All-wheel drive will be an option on either model. The manual gearbox is gone this year—it got thrown by the wayside in Infiniti's quest to put more refinement and technology into the Q50—but we're told it's not completely a lost hope for next year. Although the engine itself hasn't changed, it's no longer nearly as ragged and coarse as it was in the G37. Engineers put a lot of effort into smoothing and isolating, with new intake and exhaust manifolds, as well as other measures that aid drivability in the middle of the rev range. The seven-speed automatic transmission has been refined a bit, too, but the big change is that it's been given a taller final-drive ratio. Infiniti has lost 50 pounds in the new car—mostly in the structure—and you take off from a standing start with plenty of verve despite the taller effective ratio. Lower revs in higher-speed cruising (less than 2,500 rpm at 75 mph) is the other big advantage—to contribute to the quiet inside and raise this powertrain's mileage up to 20 mpg city, 30 highway with rear-wheel drive. Paddle shift controls are available, and you get nice throttle-blipped downshifts and remarkably little driveline shock. Overall, the 3.7-liter sings up its range with much more harmony than it ever did in the G. All-wheel drive will be an option in all Q50s. The manual gearbox is gone this year—it got thrown by the wayside in Infiniti's quest to put more refinement and technology into the Q50—but we're told it's not completely a lost hope for next year. The Hybrid feels just as quick, with very well-coordinated throttle response and 360 combined horsepower with a special version of Infiniti's 3.5-liter V-6 plus a 50-kW motor system and a unique dual clutch-pack hybrid system (with a dry clutch fore of the transmission and motor system and a wet clutch aft of them) that effectively smooths out both shift shock and transitions in power. This is a system that can gently take off on electric power alone, or turn off the gasoline engine to 'glide' along down gradual expressway downhills. 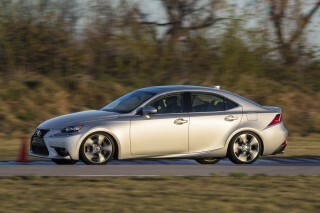 And with EPA ratings of 29 mpg city, 36 highway (and an observed 29 mpg over about 100 quick miles) it boosts real-world mileage in a way that Lexus' performance hybrid system doesn't. Infiniti's new Drive Mode Select also helps make sure you get the driving personality right for the mood. With Standard, Sport, Eco, and Snow modes—as well as a customizable Personal mode—the system changes shift patterns, the sensitivity of the throttle, and even the Direct Adaptive Steering's effort and ratio. Direct Adaptive Steering is available on the 2014 Q50, and it's a groundbreaking, world-first technology feature. There are several different steering settings with independently adjustable steering weight and ratio--with a conventional mechanical setup as a fallback. A revised suspension leaves the double-wishbone front layout intact, while adding dual-flow shocks to the multi-link rear suspension. A sport-tuned setup will be offered, and both the stiffer Q50 body and the retuned suspension improve handling, Infiniti says. Standard-issue 17-inch wheels are shod with 55-series run-flat all-season tires, with all-season or summer tires optional in 19-inch, 40-series spec. There's one respect in which the Hybrid doesn't quite measure up, and that's braking. The last bit before a complete, gentle stop is 'muddy'—that's the best way to describe it—but if you stop harder it's more precise. Separately, the geometry of the rear suspension has been altered to provide a little more compliance. We’re not yet sure how that manifests in body control and dynamics, as our preliminary drive was on semi-residential, quite heavily patrolled New England backroads. Great front seats, a reasonably roomy trunk and, a quiet, isolated cabin give the 2014 Q50 wider appeal. The 2014 Infiniti Q50 is about the same size as the outgoing G Sedan—although thanks to some rejiggering of the space inside, there are better provisions for those in back, as well as much more comfort and quiet for everyone. The Q50's seats benefit from some of the thought that went into those in the latest Nissan Altima--pressure is distributed more evenly, for long-distance comfort. All the Sport models come with extendable thigh bolsters for the driver—a feature that helps tremendously in getting taller drivers long-range comfort. For more interior space in back, Infiniti says it's slimmed down the front seatbacks and increased front-seat travel and height adjustment. Infiniti managed to fit a few more inches of rear legroom in—through the use of a thinner front-seat design and, for an easier time getting feet in and out, a side pillar that’s in a slightly different place. That said, headroom is still quite limited, and we'll venture to guess that most six-footers will be rubbing the headliner. Trunk space is boosted to 18 cubic feet on the non-hybrid Q50, while the hybrid loses 3.9 cubic feet to battery pack storage. Hybrids have pretty much the same packaging, but they can’t be specified with the split-folding rear seat. The Infiniti InTouch system comes with a lower seven-inch touch screen and an upper eight-inch one. The upper screen can also be controlled via a slightly different version of Infiniti’s rotary/button controller. Infiniti has made many of the controls in the Q50 redundant; although some convenience features, like the heated steering wheel, require going into a proper screen. In terms of refinement and quiet, the Q50 is much improved versus the previous G model; it's now on par with German rivals for comfort and isolation, and engine noise is well-muted except when accelerating rapidly. No crash-test ratings exist yet, although you can get a bounty of potentially accident-avoiding technologies on board. 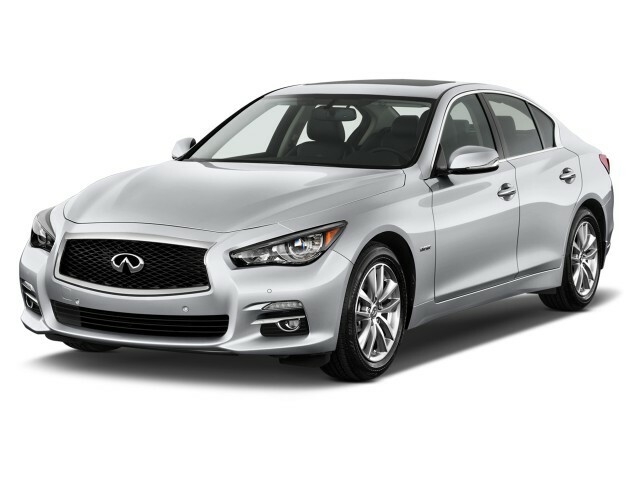 Although the 2014 Infiniti Q50 is about the same size as the former G37 Sedan, Infiniti has bolstered the body structure, adding more high-strength steel and effectively reengineered the entire vehicle. They’ve also been able to cut some weight overall: Curb weight is at 3,574 pounds, a figure that’s respectable for this class and also about 50 pounds less than before. The Insurance Institute for Highway Safety (IIHS) has given the Q5 its top-tier Top Safety Pick+ distinction, with 'good' ratings for in all test categories, except the new, more stringent small overlap frontal test, where it earned a second-best 'acceptable' rating. It's earned a good five-star overall score from the federal government, although its frontal protection was rated an imperfect four stars. Otherwise, the Q50 has a veritable mother lode of active-safety features available. Lane Departure Warning and Prevention, Blind-Spot Intervention, and an Around View Monitor with Moving Object Detection are all among the —in a less scolding way than the systems of just a few years ago. Of note is something called Predictive Forward Collision Warning, a world-first system that warns the driver of risks far ahead of what he/she might otherwise see—by using sensing the second vehicle ahead, and warning the driver visually and audibly, while also tightening the seatbelt. A new Active Lane Control system makes it easy to glide along in your lane on the highway, with seemingly no small adjustments needed for the pavement surface or crosswinds—and the system uses a camera system to fine-tune your lane placement in an oddly unobtrusive way. Most of these features are offered through a Technology Package or Deluxe Technology Package, offered on all but the base Q50 models. Promising new infotainment, world-first technology options, and plenty of luxury comfort and convenience items make the 2014 Infiniti Q50 a features standout. There are a total five core packages for the Q50 lineup, each offered in either rear-wheel drive or all-wheel drive: Infiniti Q50 3.7, Premium, and Hybrid Premium, then also the Q50 S 3.7 and Q50S Hybrid. Premium models add heated front seats, a power moonroof, an auto-dimming rearview mirror, a universal garage-door opener, and a Bose Centerpoint surround-sound premium audio system. 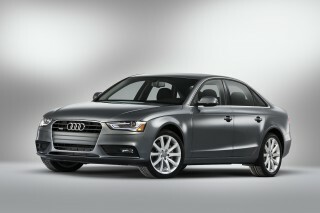 Hybrid models add leather seats, a power-adjustable steering wheel, a sport suspension, and Direct Adaptive Steering. And at the top of the lineup, the Q50S models add sport seats with thigh extensions, leather upholstery, aluminum pedals, magnesium paddle-shifters, Sport 19-inch aluminum wheels, summer performance run-flat tires, upgraded brakes, a sport front bumper, and the sport suspension (for 3.7 models, as all Hybrids otherwise get it). Options are lumped into a few large packages. The Deluxe Touring Package (for $3,100) adds Direct Adaptive Steering plus a power-adjusting steering wheel, memory settings, real wood trim, rain-sensing wipers, front and rear parking sensors, and an Around View Monitor with Moving Object Detection. The Technology Package adds to that Predictive Forward Collision, Forward Emergency Braking, Intelligent Cruise Control (full speed range), Forward Collision Warning, Distance Control Assist, Lane Departure Warning and Prevention, Active Lane Control, Blind Spot Warning and Intervention, High Beam Assist, Adaptive Front Lighting, Backup Collision Intervention, and the Eco Pedal. Separately a Deluxe Technology Package combines those two packages except for (on 3.7 models) the Direct Adaptive Steering, power-adjustable steering wheel, and split-folding rear seat. 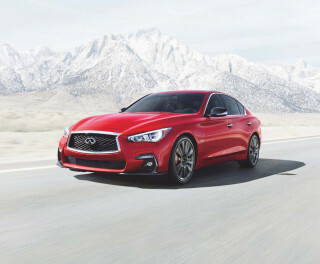 Yet another new feature in the Q50 is Infiniti Connection—a security- and concierge-related telematics service that has a companion smartphone app and provides remote monitoring (for teen drivers, for example), SOS call and collision notification, and a personal assistant service. As for the Infiniti InTouch system that comes with a lower seven-inch touch screen and an upper eight-inch one, we saw a big gap between intent and execution, at least in the early pre-production cars we sampled (lagginess and some lockups were an issue in those). The upper screen can also be controlled via a slightly different version of Infiniti’s rotary/button controller, while the lower screen is a touch screen, intended more for media controls. Infiniti has made many of the controls in the Q50 redundant; although some convenience features, like the heated steering wheel, require going into a proper screen. Infiniti catches up to par for the segment; and the extra-cost Hybrid provides an impressive 31 mpg Combined while preserving its sport-sedan credentials. The 2014 Infiniti Q50 sticks with an all-V-6 lineup. 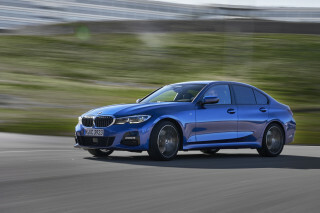 And unlike most other compact-to-mid-size luxury sport sedans today, there’s no turbo four or diesel on offer for Americans. But that’s only part of the story. Infiniti’s own performance-oriented hybrid system, which was introduced in the larger M sport sedan (as the M35 a couple of years ago) is now available in the Q50. Fuel economy ratings for the Q50 are quite significantly improved for the base car, though, thanks to a number of powertrain improvements—including a ‘Standard’ mode throttle calibration that isn’t quite as jumpy as that in last year’s G Sedan, combined with a taller final-drive ratio that brings cruising-speed revs quite a bit lower than before—now less than 2,500 rpm at 75 mph in top gear. Included with the Technology Package is a so-called Eco Pedal that will actually press back more firmly to encourage you drive more economically. Opt for the Q50 Hybrid, for a few thousand dollars extra, and you'll get performance that's just as satisfying—if not more so—and with better mileage. With its 3.5-liter V-6 and 50-kW electric motor system, the Hybrid earns 29 mpg city, 36 highway with rear-wheel drive or 28/35 with all-wheel drive. I am a 6 time Infiniti owner who made the ill fated mistake of leasing a loaded (every possible option) 2014 Q50S. I am not going to get into the widely reviewed issues with the rushed out, garbage InTouch... I am a 6 time Infiniti owner who made the ill fated mistake of leasing a loaded (every possible option) 2014 Q50S. I am not going to get into the widely reviewed issues with the rushed out, garbage InTouch system or the take you life in your hands DAS steering wonder. On the good side, the car is very attractive, well designed and performs well. That's where it ends. The noise level on the inside is equal to that of riding on a train. The factory supplied (long gone) run flat tires are noisy as hell, are blow out prowen (4 in 2 years). The passenger side seat rattles, the backup and front cameras are total mud and have long delays going on and going off. All of these issues when taken into the dealer and logging complaints with Infiniti have been answered with the typical Infiniti response " CAN NOT REPLICATE"
Now 27 months into a 39 month lease my car has been the shop for 5 weeks. The brake pedal will sink to the floor after a 20 mile or so drive. The car does stop, but it stops long and feels unstable. The dealer has replaced the master cylinder after 3 times of doing nothing except for giving me the old " CAN NOT REPLICATE" Now it is the shop again waiting for define intervention from Infiniti. On top of that there is well known issues with the airbag system on this car. 3 Recalls later and 2 malfunction lights I can't say with confidence that they work. In the end, if you are looking for a quality car in the $55,000+ range and you have any value for your sanity and the life of you and your loved ones, run away from this car, this manufacture and their dealer network. I thought I would never write such a review on Infiniti. They have betrayed me and thousands of faithful followers. Enjoy driving, in spite of its shortcomings.